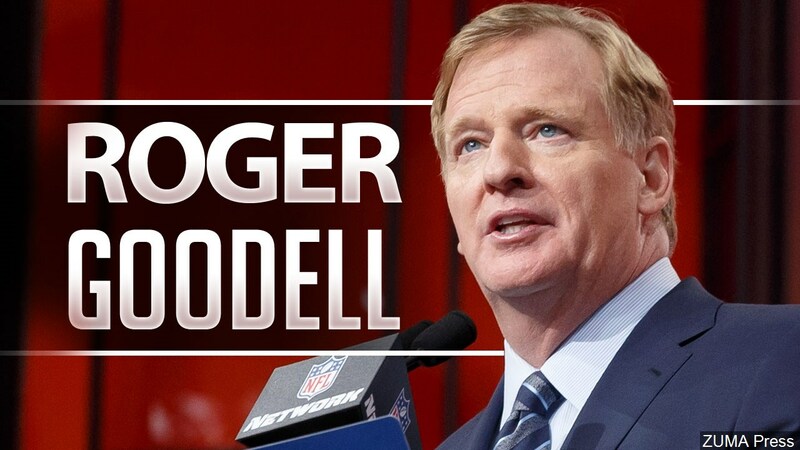 (Atlanta, GA) — NFL commissioner Roger Goodell is scheduled to give his state of the league address today in Atlanta. The commissioner is sure to be asked about the non-pass interference call that helped the Rams beat the Saints in the NFC Championship Game to advance. Goodell will also address topics such as instant replay, safety rules and international games. (Atlanta, GA) — The New England Patriots have become synonymous with the Super Bowl. Led by head coach Bill Belichick and ageless quarterback Tom Brady, the Pats are making their third straight appearance in the big game as they get set to play the Los Angeles Rams on Sunday. Brady says his appreciation for being in the Super Bowl has grown over the years, not diminished. (Atlanta, GA) — The Los Angeles Rams are getting ready to take on the vaunted New England Patriots in Super Bowl 53 this Sunday in Atlanta. The Rams are in the big game for the first time since losing to Tom Brady and these same Patriots 17 years ago in Super Bowl 36. Head coach Sean McVay says New England has already handled the big offenses of both the Chargers and Chiefs this postseason. (Houston, TX) — The Texans have hired former linebacker Brian Cushing to work with the strength and conditioning staff and assist with he defense. Houston cut Cushing last year and he was not picked up by another team. He announced his retirement in February of 2018. (San Antonio, TX) — Rudy Gay drained a long jumper at the buzzer to lift the Spurs past the Suns 126-124 in San Antonio. Gay ended with 16 points, while LaMarcus Aldridge led the way with 29 points and 14 rebounds for the Spurs, who have won three in-a-row to improve to 30-and-22 on the year. Davis Bertans netted 18 points and Marco Belinelli donated 17 off the bench in the victory. Devin Booker poured in a game-high 38 points for Phoenix, which fell to 11-and-42 with its ninth straight loss. Jamal Crawford chipped in with 22 off the bench in defeat. (Houston, TX) — James Harden scored 37 points and hauled in 11 rebounds, but the Rockets lost 121-116 to the Pelicans in Houston. Harden extended his streak to 24 consecutive games of scoring at least 30 points, but he missed 21 of 32 shots. Kenneth Faried contributed 19 points and 11 rebounds in defeat. Houston had its three-game winning streak snapped. The Rockets will begin a four-game trip Friday, starting in Denver. (Orlando, FL) — Paul George scored 37 points and Russell Westbrook logged his fourth straight triple-double as the Thunder beat the Magic 126-117 in Orlando. Westbrook had 23 points, 14 rebounds and 14 assists. Oklahoma City outscored Orlando 35-23 in the fourth quarter to extend its winning streak to six games. Nikola Vucevic led Orlando with 27 points and 11 rebounds. Evan Fournier had 17 points in defeat. The Magic have lost four straight and seven of eight. (New York, NY) — The Mavericks will open a three-game trip tonight against the Knicks at Madison Square Garden. The Mavs have lost five of their last seven games and are 4-and-20 on the road. The Knicks have lost their last 10. Dallas will play tomorrow night in Detroit and Saturday in Cleveland. The Mavs return home on February 6th against the Hornets. (Dallas, TX) — The Stars are back on the ice tonight to host the Buffalo Sabres after the NHL All-Star break. It will be the Stars first game since January 19th when they beat Winnipeg 4-2. The Stars hold the top wild card spot in the West with 52 points in 49 games. Colorado and Vancouver also have 52 points, but have played more games. Anaheim has 51 points and Arizona 50 in the airtight Wild Card race. 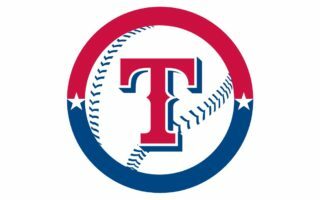 (Arlington, TX) — The Rangers designated for assignment outfielder John Andreoli. Texas had to make roster room for free agent reliever Shawn Kelley, who it signed to a one-year contract. The Rangers claimed Andreoli off waivers on January 15th from Seattle. He combined to hit .230 in 26 games last season with the Orioles and Mariners. (Austin, TX) — Texas upset 12th-ranked Kansas 73-63 in Austin to knock the Jayhawks out of first place in the Big 12. The victory snapped the Longhorns’ 10-game losing streak to the Jayhawks. Dylan Osetkowski led Texas with 16 points. Ochai Agbaji topped Kansas with 24 points. KU, which has won 14 straight Big 12 championships, is 16-and-5 overall and 5-and-3 in conference play, a half-game behind Baylor and Kansas State. Texas was 1-and-5 in its previous six games before beating Kansas. (Undated) — In college hoops action tonight, SMU will be at Wichita State and LSU will play at Texas A&M. Tomorrow, North Texas will travel to Old Dominion. (Undated) — Baylor has moved into the top spot in the women’s coaches basketball rankings. The Lady Bears are 17-and-1 and own a victory over number-two Connecticut. The Baylor women will play tonight at Oklahoma State. (Richardson, Texas). – West Texas A&M senior Ryan Quaid earned Lone Star Conference Men’s Basketball Offensive Player of the Week honors for the second time this season after leading the Buffs to a win over rival Eastern New Mexico last Tuesday at Greyhound Arena in Portales, N.M.
(Richardson, Texas) – West Texas A&M’s Lexy Hightower was honored for her performance on the court on Tuesday afternoon as the junior was tabbed the Lone Star Conference Offensive Player of the Week by the league’s offices in Richardson, Texas. Hightower continued to lead the Lady Buffs offensively this past weekend as the junior became the 22nd player in West Texas A&M history to reach the 1,000 career point milestone. She reached the plateau in her 80th career game in Maroon & White and her 64th career start.